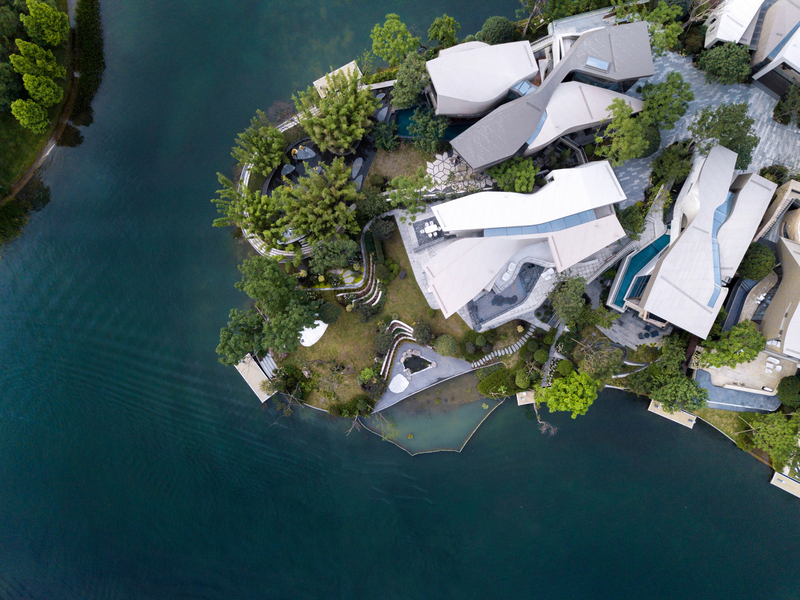 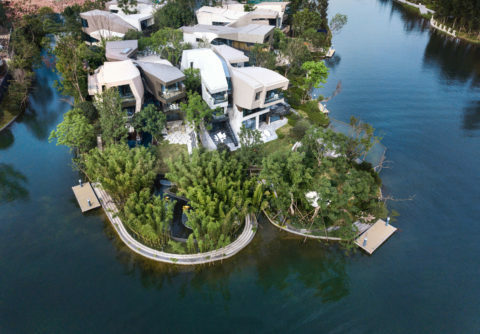 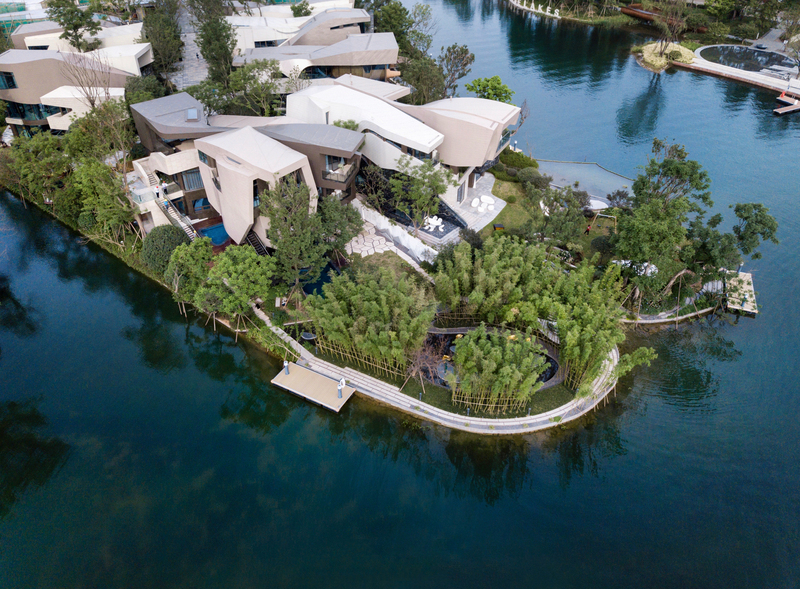 Luxe Lakes Villas is a community of 46 new residences situated on an island in a new semi-urban community in Chengdu, China. 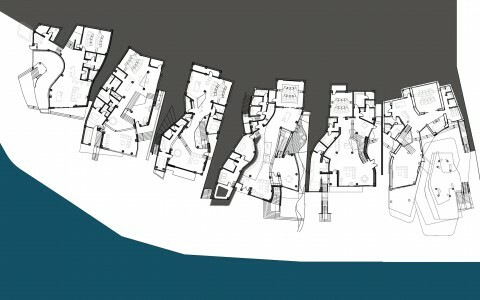 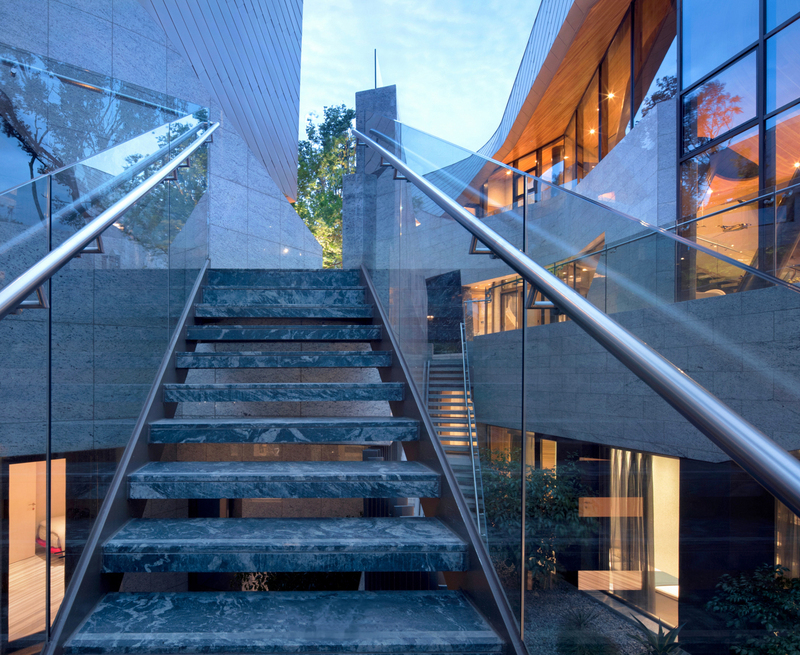 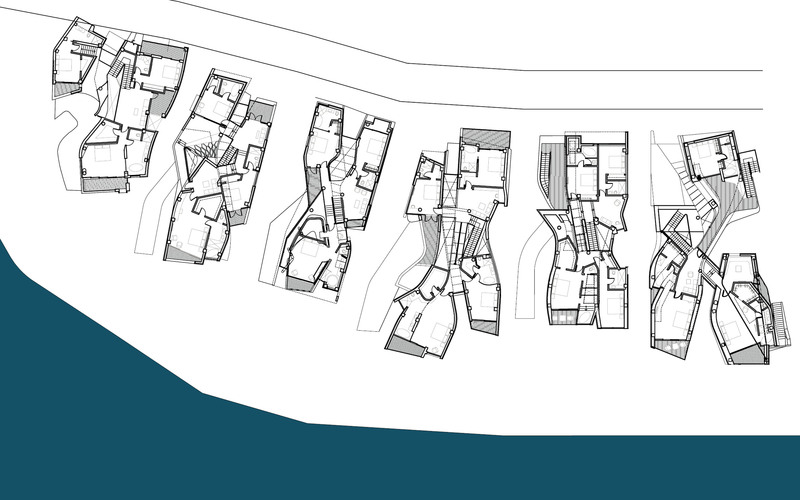 Rethinking the row house typology, each of the 6 villa types is pinched at its center to create new courtyards and internal pathways with framed views through the courtyards to the natural surroundings. 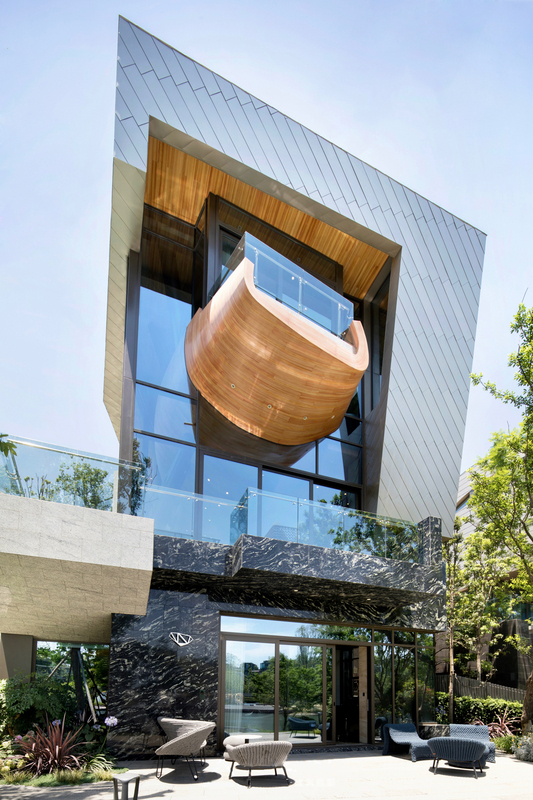 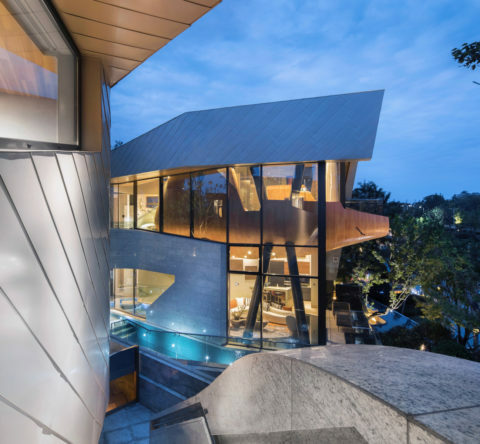 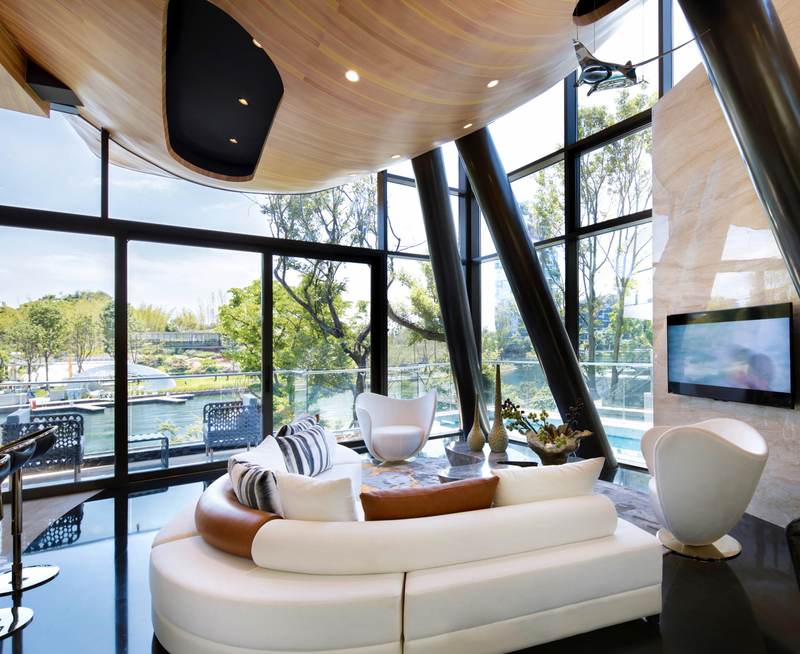 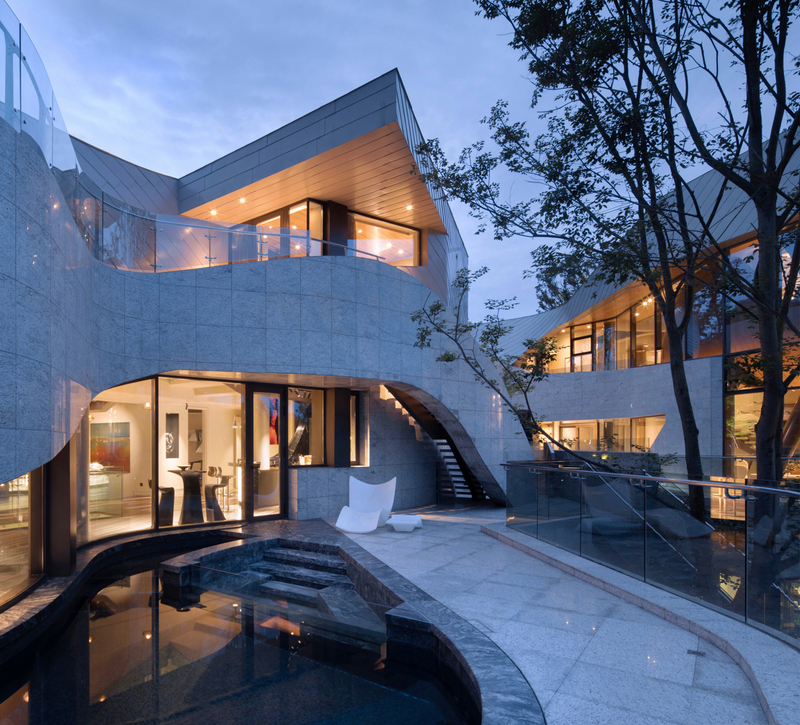 The major axis of the villas link the street side with the lake side along a curving spine, and with each shift off the path, a view is framed, or a room with a view is discovered. 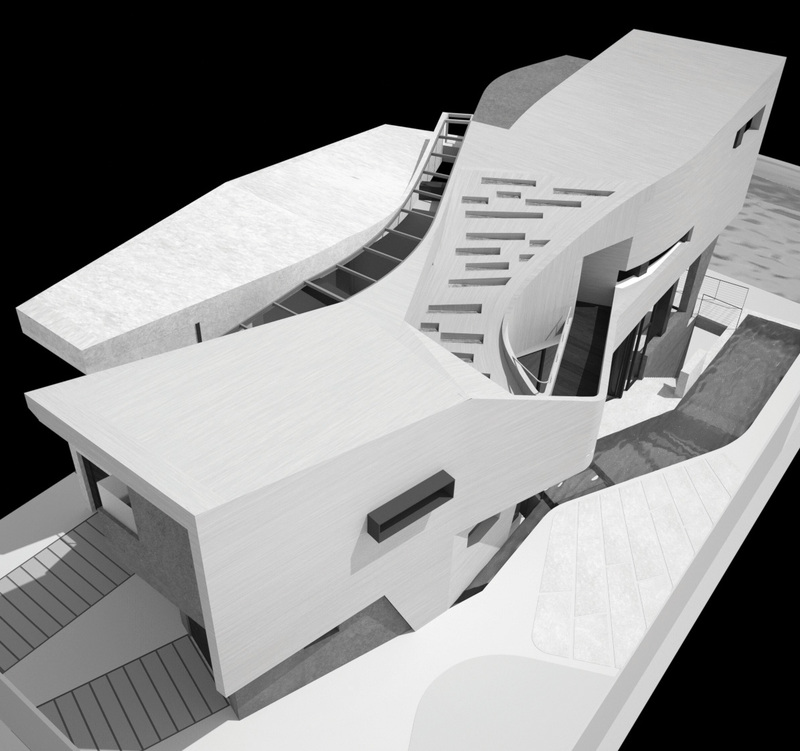 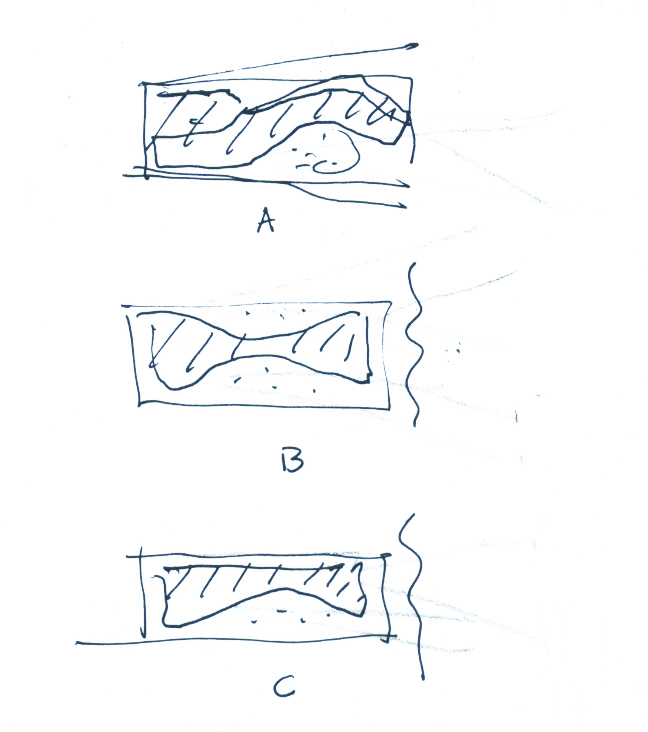 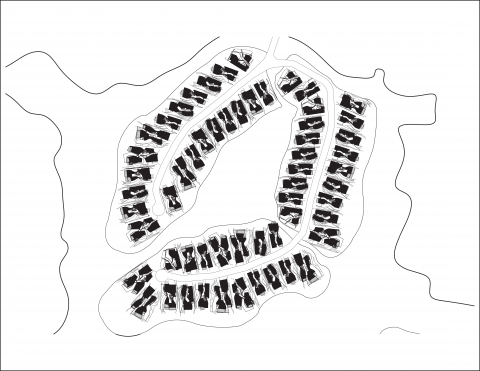 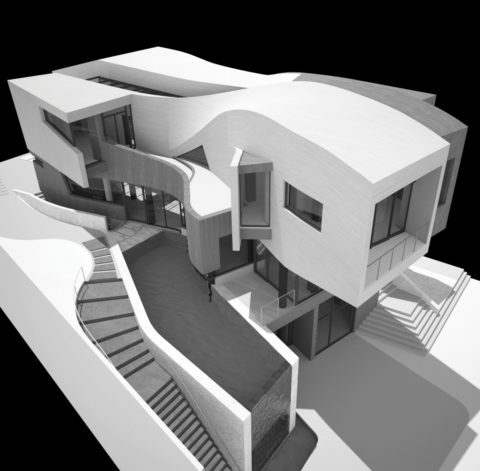 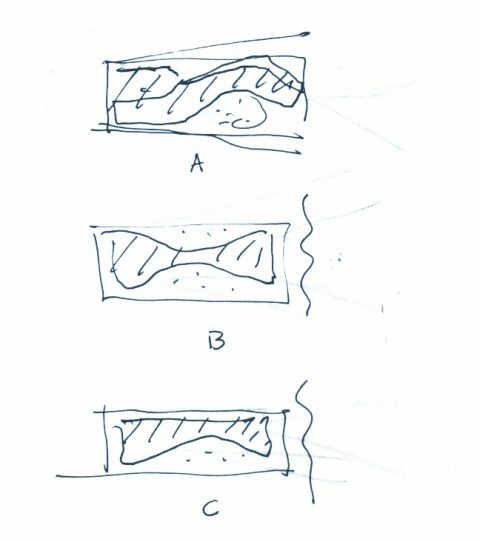 The form of the villas results from deformations of this main spine that define public and private spaces. 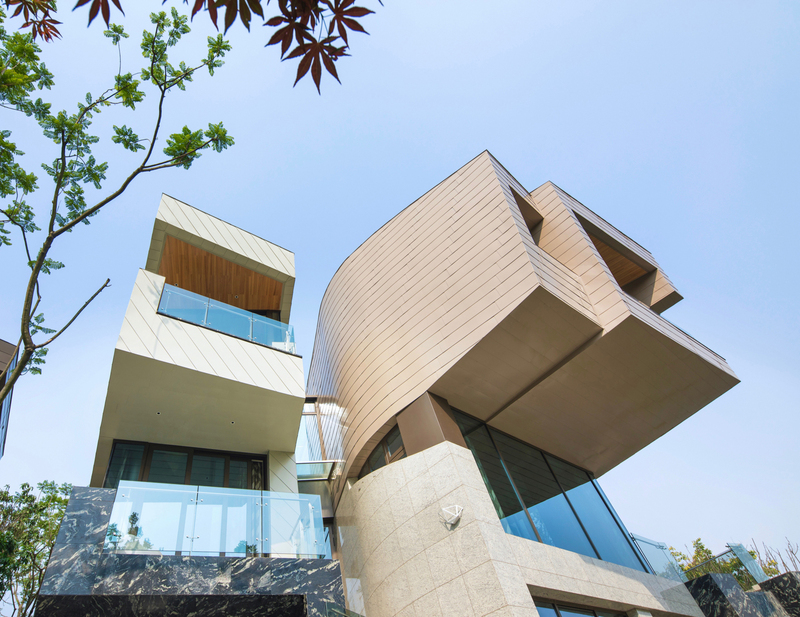 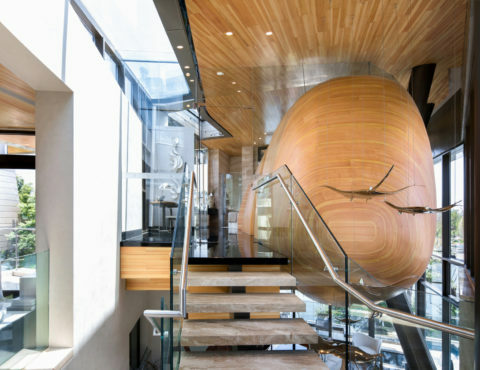 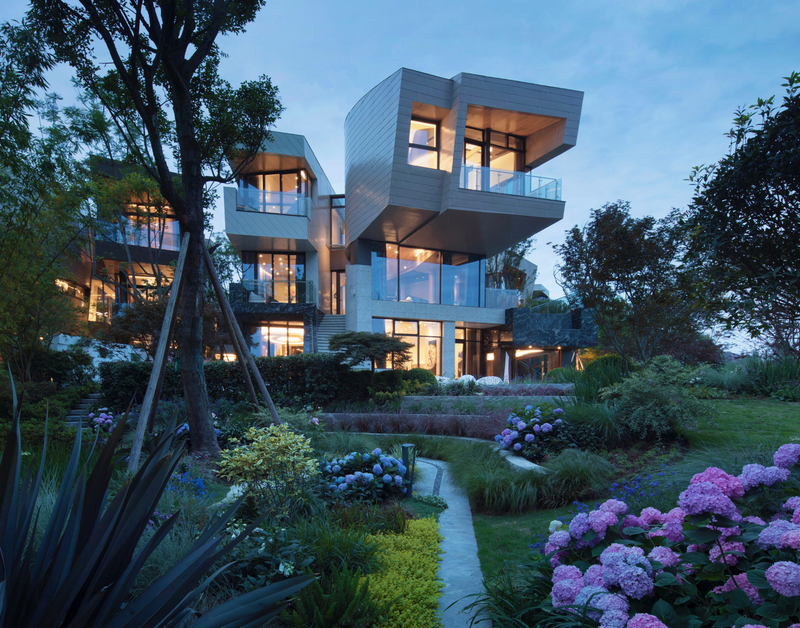 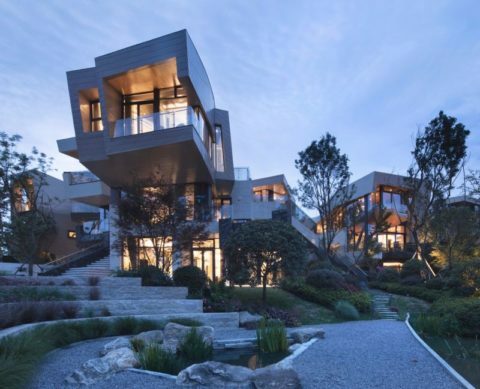 Together, the multiple villa types combine to create a new take on the urban typology, one that is adaptable to a hybrid site with dense housing in an organic framework.